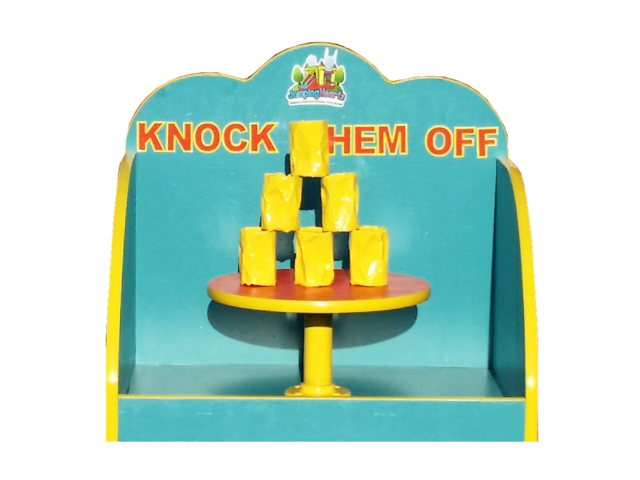 Our knock them Off carnival game is a classic! 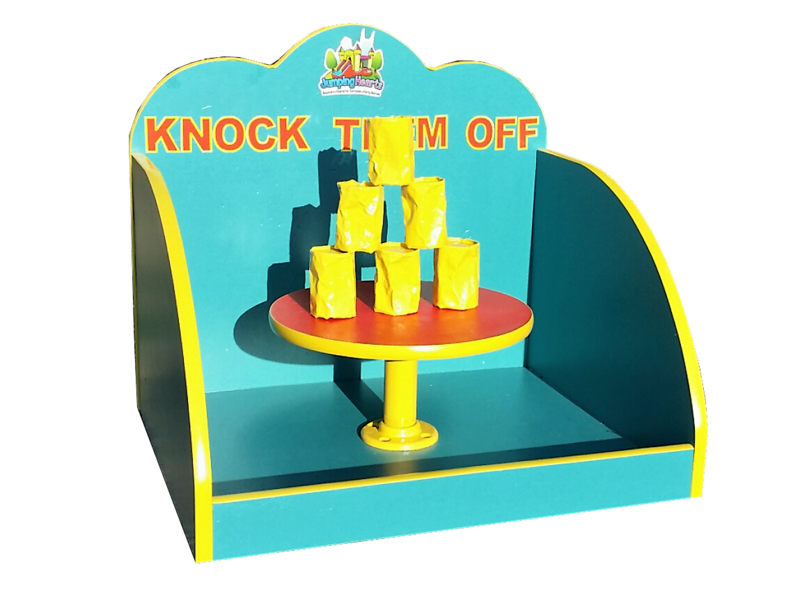 Also known as Krazy Kanz or Krazy Kans, this game is one of the favorites among the carnival games. The player gets 3 balls to try to knock the 6 cans off the pedestal. To be the winner, the participant needs to knock all of the cans off the pedestal.